Radcliffe Roye (b. 1969) is a Jamaican born photographer living in Brooklyn. 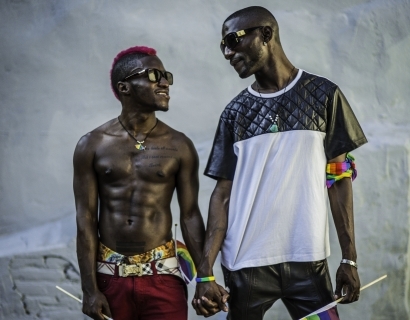 He has photographed Jamaican dancehall musicians and fans, the Sapeurs of the Congo, the Caribbean Carnival J’Ouvert, and recent political protests in Ferguson, New York and Dallas. 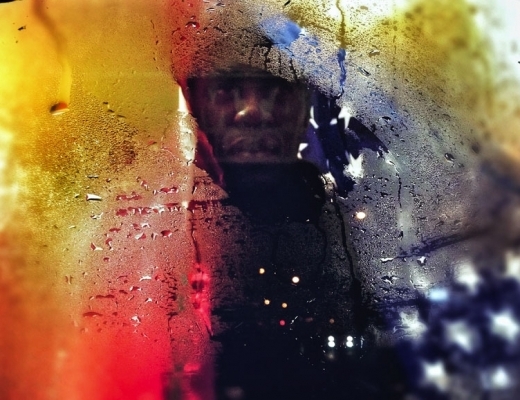 Upon moving to New York in 2001, Roye worked as a freelance photographer for the Associated Press. His photography has appeared in the New York Times, The New Yorker, Vogue, Ebony, Fast Company, BET and ESPN. His work has been included in exhibitions at the Museum of Contemporary Photography, Chicago; the Museum of Contemporary African Diasporan Arts; Silver Eye Center for Photography; the Chastain Arts Center; Alice Austen House and Photoville. He has held teaching positions at New York University and the School of Visual Arts and has lectured at Columbia University. 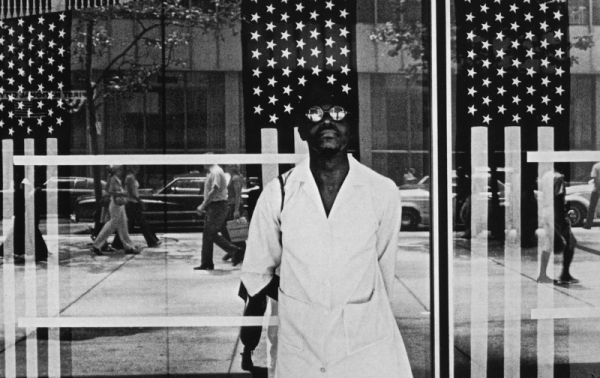 Roye is one of the youngest members of the Kamoinge Workshop, the seminal and enduring black photography collective founded in 1963. 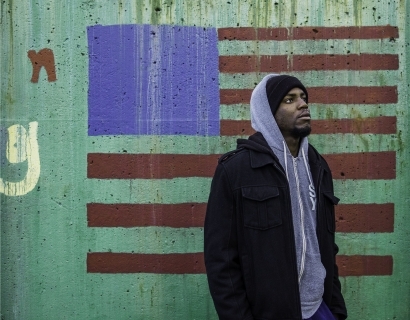 Ruddy Roye has amassed over 250,000 Instagram followers, and uploaded over 4,000 posts. He is a leading figure on Instagram among documentary photographer showcasing an interest in their communities. He began his social media work with a series of haunting posts of the devastation that followed Hurricane Sandy. 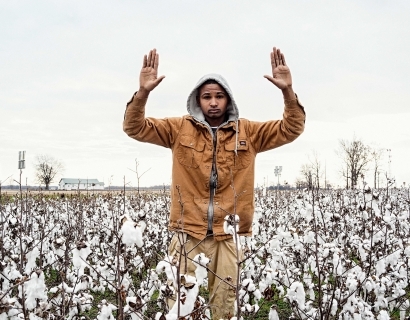 For Roye, social media is a powerful outlet to get his message to a mass audience. “The media has a way of deleting the stories of people who society does not want to deal with. This is my humble way of putting these stories back in people’s faces — forming a real and active dialogue about these issues.” Online, Roye adds to each posted image an incisive retelling of the stories he has heard from his subjects. These captions will be reproduced in full for the exhibition. 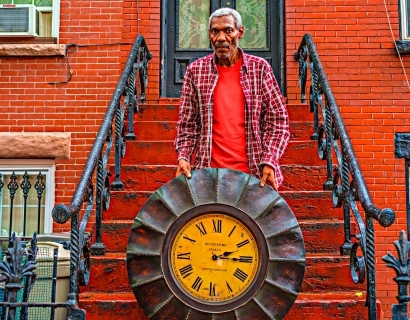 TIME’s First Take series features Brooklyn-based documentary photographer Ruddy Roye. 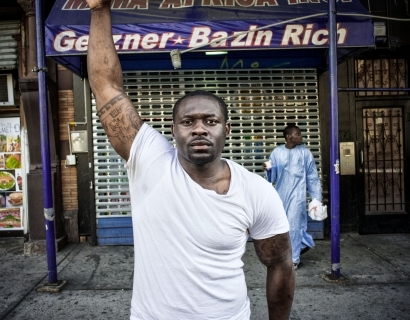 Known for his raw and gritty editorial and environmental portraits, Roye sees himself as more than just a photographer – he’s also an activist whose images present society’s injustices. 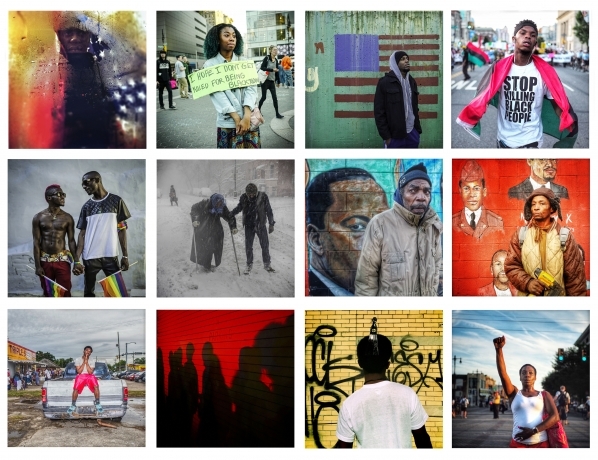 Photographs by gallery artists Ruddy Roye, Ming Smith, and Louis Draper are on display at Photoville from September 21-25 with Kamoinge Inc.
Ruddy Roye's work was featured in The New York Times' interview with curator Sarah Lewis on editing Aperture's special Vision+ Justice issue, which celebrates photography of the black experience. 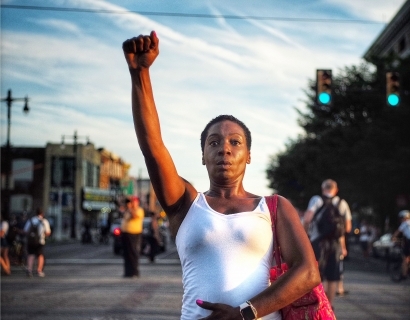 Congratulations to Ruddy Roye for being named TIME's Instagram Photographer of 2016! Imani Perry expresses that "When Living is a Protest" is a sophisticated and emotionally affecting consideration of black protest. 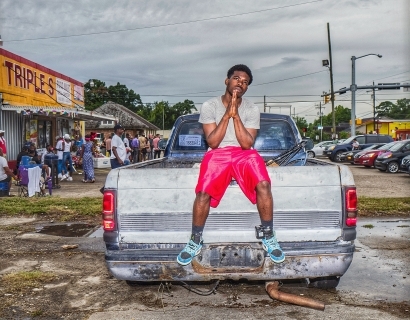 Miss Rosen discovers what happens "When Living is a Protest" through Ruddy Roye's current exhibition. Jean Dykstra notes the similarities between our two current exhibitions. 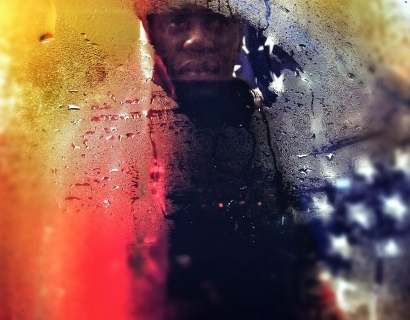 Loring Knoblauch states that Ruddy Roye channels the spirits of Roy DeCarava and Gordon Parks. 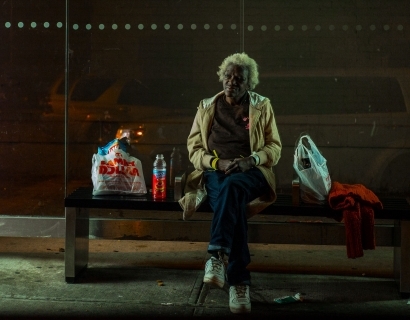 Siddhartha Mitter tells the story and history of Ruddy Roye. 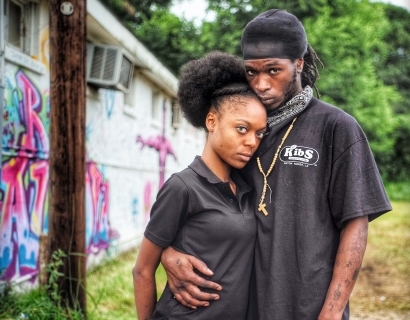 The Financial Times discovers Ruddy Roye's inspiration. 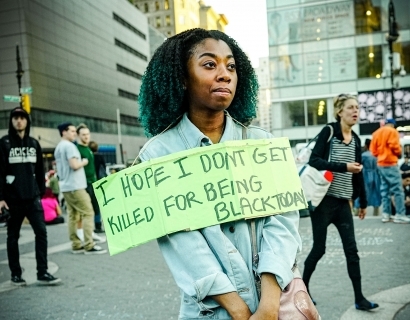 Art Daily looks into our current exhibition "Ruddy Roye: When Living is a Protest". 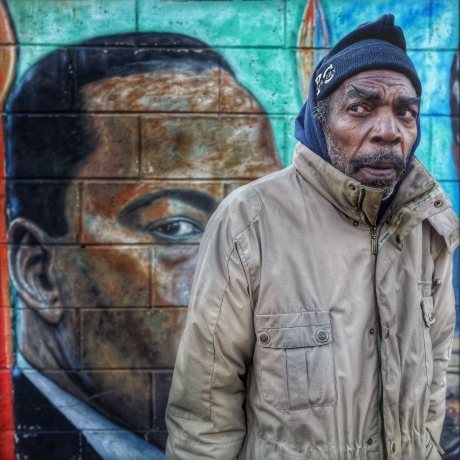 Photojournalism Now declares that Ruddy Roye's portraits are infused with dignity and integrity. 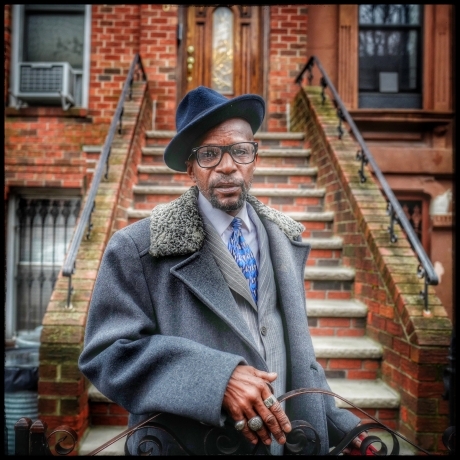 Jeanette D. Moses interviews Ruddy Roye about his current exhibition, his approach to Instagram, and why it is important to push past visual misconceptions. 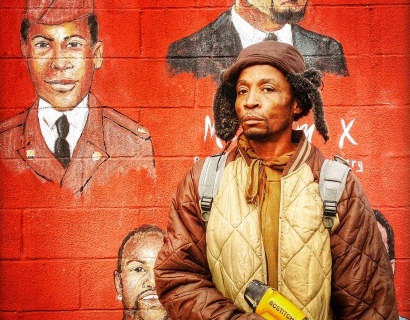 Mass Appeal goes behind the scenes of Ruddy Roye's first solo exhibition "When Living is a Protest".